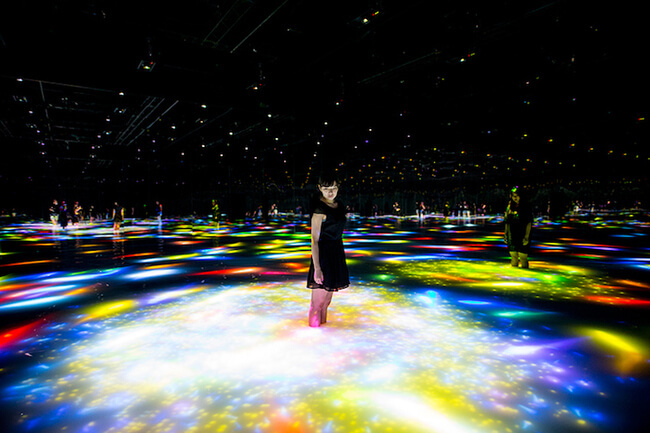 I hate to say it, guys, but Japan has way more fun with art and technology than we do. 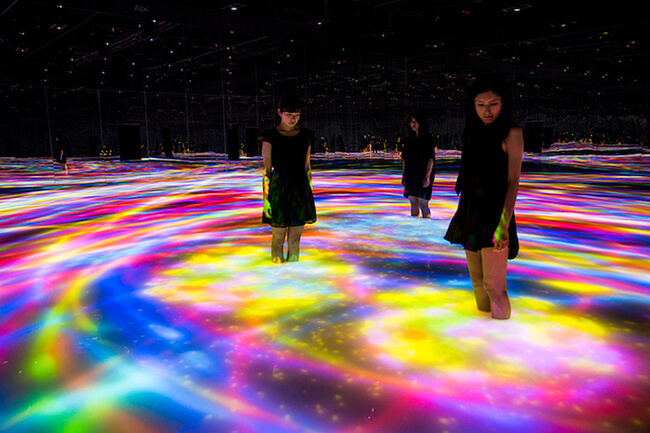 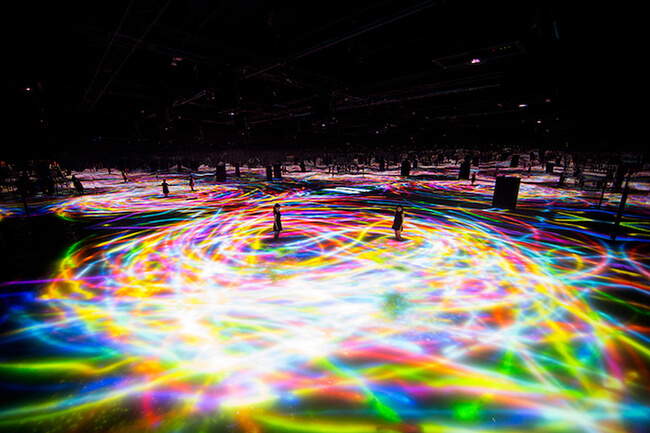 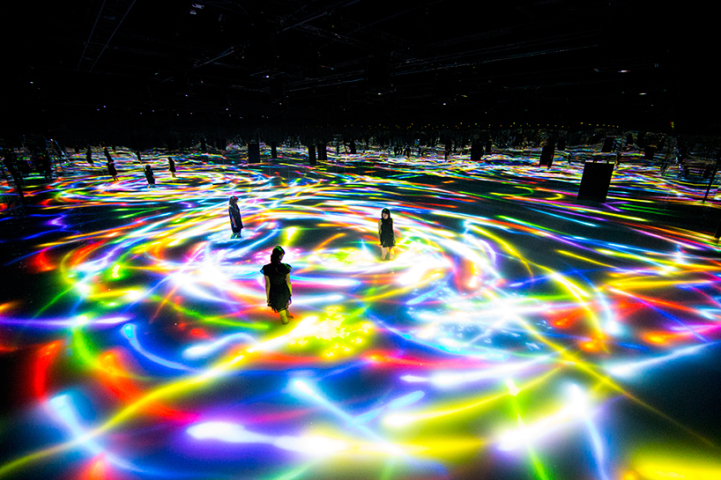 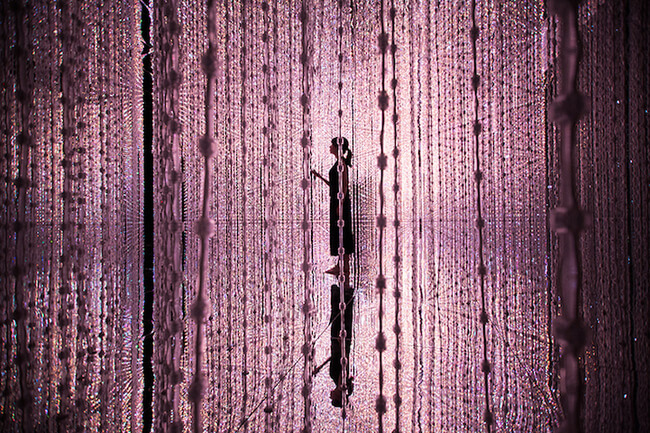 teamLab is a Japanese tech art studio. 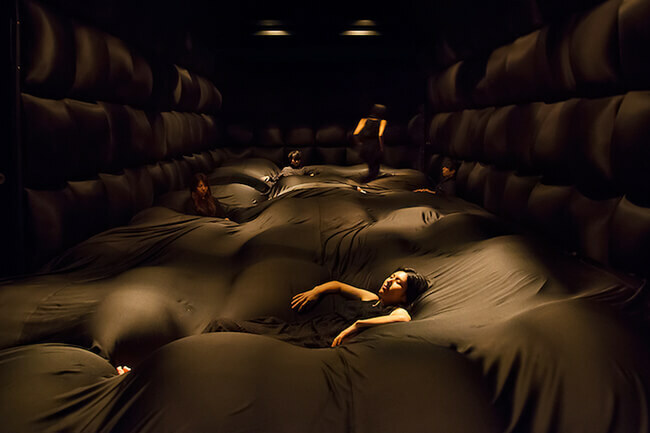 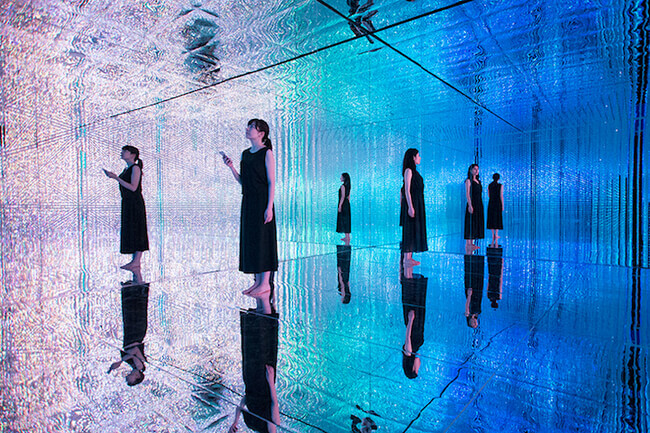 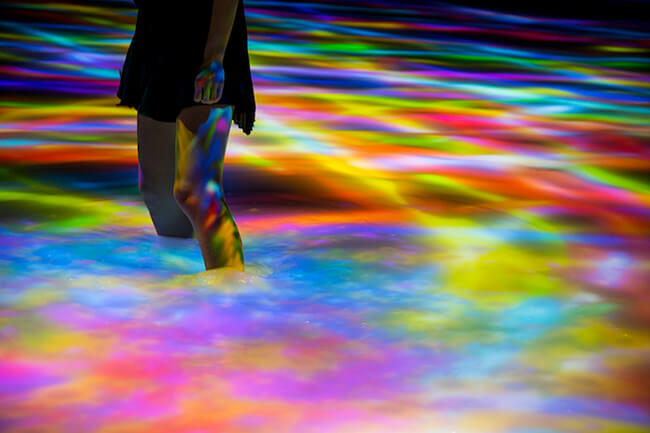 When you visit teamLab, you will find four different but connected spaces, each with their own kaleidoscopic, sensory experience. 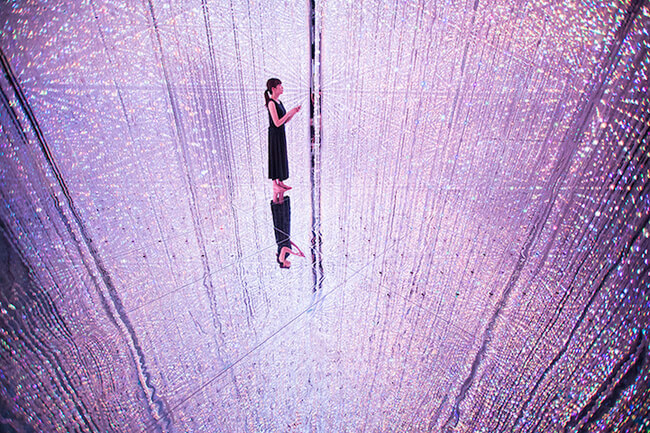 Each space has it’s own visual appeal and they even have their own unique smells, such as the aroma of flowers, forest and “the universe.” I didn’t even know the universe could have a smell but with the help of astronaut Naoko Yamazaki, that scent now exists. 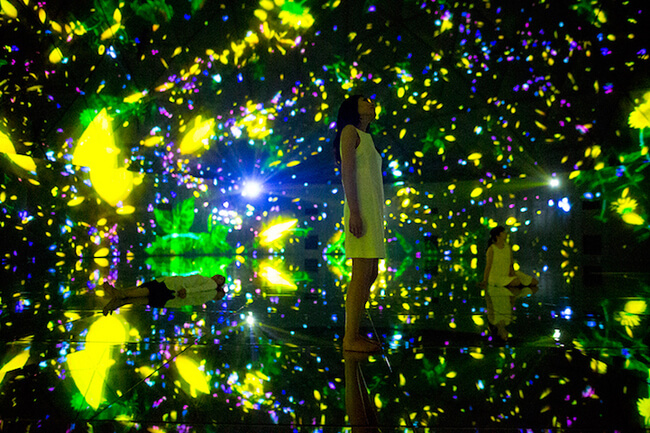 Who else but an astronaut would know what the universe would smell like, right? 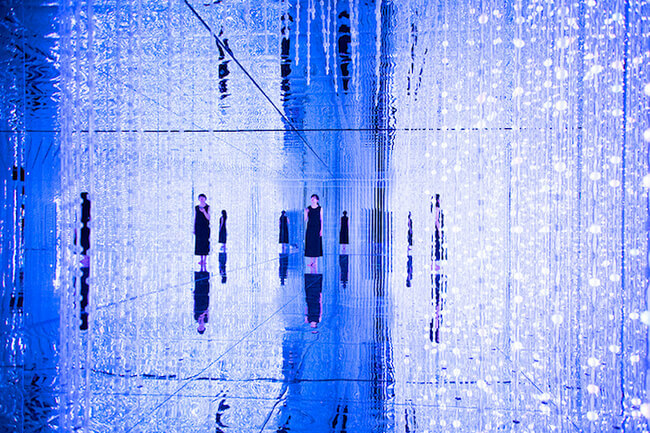 Every space has a name; Wander Through the Crystal Universe, Drawing on the Water Surface, Floating in the Falling Universe of Flowers, and Soft Black Hole. 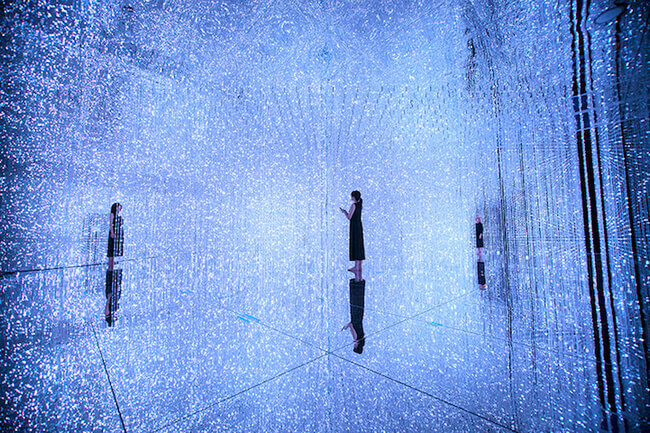 The experience in each space changes as you move around but you can also use your smartphone to change the experience of the space that you’re in. 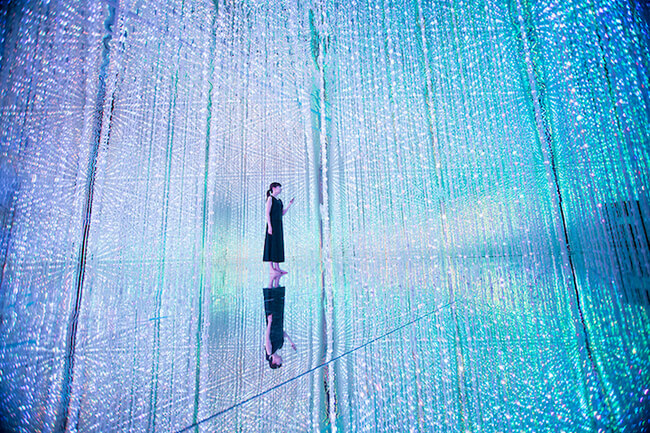 These photos bellow couldn’t possibly do the true experience justice but take a look and imagine that you are there.